If you thought Deion Sanders&apos; induction into the Pro Football Hall of Fame last Saturday was nuts, just wait until Dennis Rodman gets his chance to be inducted into the Basketball Hall of Fame on Friday. 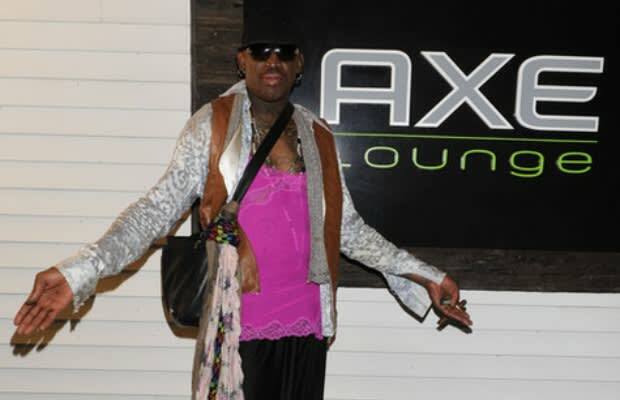 Rodman, who will arrive at the ceremony in Springfield, Mass. via helicopter, originally wanted to enter the Hall of Fame on a colorful float. "But they wouldn&apos;t let me block off the street," he said.